unparalleled, and her perceptiveness stellar." combines business intelligence and human insights. She achieved remarkable results with our team." built rapport and helped solve complex issues." to our success and awed by her gifts." so I could feel it in my gut." Are You At A Pivot Point in Your Business and Career? Pivot points mark every leader’s journey, times when you must make a difficult decision. Your decision at these defining times will determine your career trajectory and opportunities available to you. Some pivot points call for visionary decisions, others need to change the course of adverse events, and some must answer to personal restlessness. You owe it to yourself to consult with the expert on pivotal decision-making and move forward with clarity and no regrets. 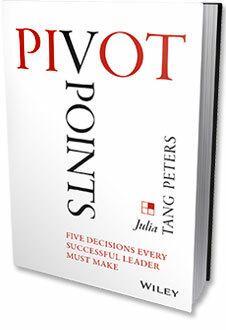 Julia Tang Peters, author of PIVOT POINTS Five Decisions Every Successful Leader Must Make, has helped senior executives in a range of industries make decisions pivotal to their success. Julia facilitates meetings and retreats, guiding discussion with a structured yet fluid process to challenge the status quo and develop innovative ideas essential for competitive strength and strategic success. 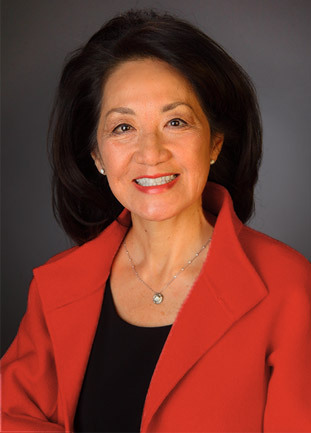 With keen observation and understanding of organizational behavior, Julia advises leaders on structural solutions to address new strategies and realities, disrupt insular thinking, and align resources to achieve goals. Applying research-based success factors, Julia coaches executives to spend more time on, and give more thought to, accountabilities that make the difference between leading and managing. 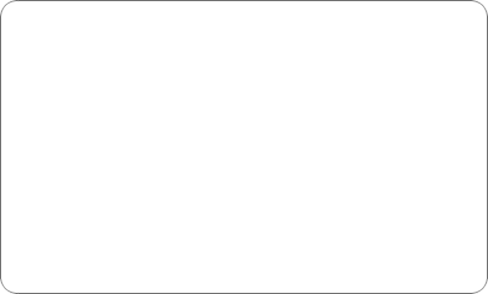 Is your actual effectiveness commensurate with your potential?